Stella Bradberry and Bella Chambers work for Atlantic Energy, a global oil company in London. Bella is a pretty single mother who dropped out of college and is doomed to work as an invisible assistant to a series of men of half her intelligence. Stella is twenty years older, about to get a seat on the board, and is the original no-glass-ceiling, high-achieving, multi-tasking mother of two. Everyone admires her; she's so straightforward and sensible. So what possesses both women to embark on pole-axing, heart-wrenching affairs with men they wouldn't have looked twice at outside the office? 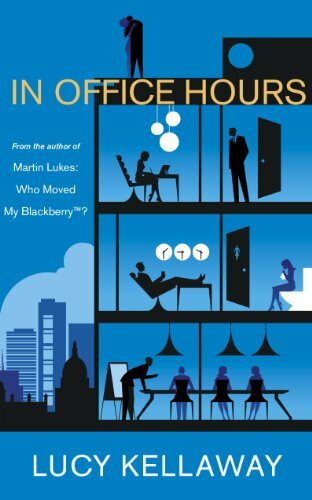 Smart, funny, moving and agonizing, In Office Hours holds up a mirror to modern corporate life. It's all here - the lies and sabotage, the strutting lunacy of CEOs, men's choice of sandwiches, women's choice of affair underwear, taking credit for others' ideas, the building and crashing of egos. And the obsessive, dangerous conduct of work colleagues who, in the grip of passion, break all the rules.